Nothing to lose but the pain! Go to Is poor circulation leaving your feet in the cold? Is poor circulation leaving your feet in the cold? Improve feet circulation with liquid filled orthotic insoles. Visit conditions page to learn more. 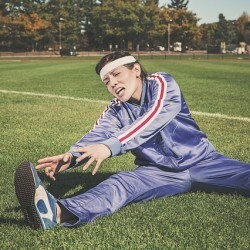 Go to Is plantar fasciitis a pain in your arch? 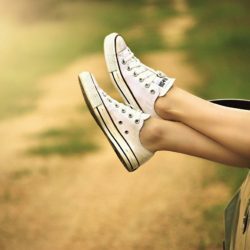 Is plantar fasciitis a pain in your arch? Discover the best arch support insoles for plantar fasciitis with Sole-Mates®. Get this amazing product today at a great discount! 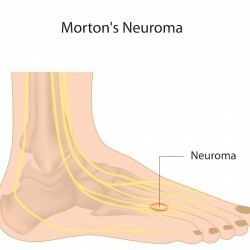 Go to Is Morton’s neuroma getting on your nerves? Ease the pain of Morton’s Neuroma with Sole-Mates® comfort insoles for your shoes. Get this amazing product today at a great discount! Go to Do you suffer from tired and sore feet? Do you suffer from tired and sore feet? Liquid filled, removable orthotic insoles are the one of the best sore feet remedies available today. Visit conditions page to learn more. Go to Do you suffer from lower back or hip pain? Do you suffer from lower back or hip pain? Lateral Muscular Back Pain simply means muscular pain that presents itself just above the hips and runs up your sides. Go to Do you suffer from corns or calluses? Calluses grow on the bottom and sides of the foot – anywhere there is friction or rubbing against a hard surface – as the body’s defense mechanism against developing an open sore. Sold in the USA for over 20 years, liquid orthotic insoles have been clinically proven to provide unrivalled support for people working on their feet, as well as delivering increased circulation to the feet and lower legs through its unique massaging system leading to increased health of the foot. Now, Sole-Mates® are able to offer the same benefits to people in the UK! In all honesty I didn’t expect them to work! I spend at least 50 hours a week on my feet running a very busy restaurant. I cannot believe how amazing these are! No longer do my legs and feet hurt at the end of a day. I’ve noticed a major difference – I’m experiencing far less pain and discomfort and I’m now walking a lot better and more freely. It’s a stange sensation initially, but you soon get used to the feeling. It’s fair to say these brilliant corrective insoles have transformed my life, and if you too suffer from painful feet they could be the answer. I purchased my Sole Mates at the GMex exhibition and they were very successful in treating my plantar fasciitis. Due to my success with these insoles, I do recommend them to my patients. What are the benefits of removable insoles in shoes? 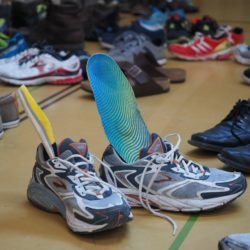 How Exactly Do Our Liquid Orthotic Insoles Work? 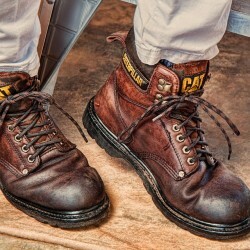 Foot Pain From Steel Boots: Solved! Do you have a question or comment? Let us know!